When I was deep in depression an overactive mind at night used to haunt me at night. I fretted constantly about the dread of tomorrow or all the failures I’d racked up in life. I was unsettled mentally which could often lead to endless cycle of have sleep disturbance and always feeling tired. These days it’s so much better. Sleep hygiene is vital, to help me achieve this I also call on some apps to assist from time to time. Don’t get me wrong smartphone usage is fraught with danger, however there are some clear benefits that can be harnessed. I like to use an app called Ambio before I go to sleep. Ambio allows users to create configurable soundscapes. Within themes such as a forest theme, users can pick and choose specific sounds as part of the layering. Listening to ambient noise when trying to get to sleep is much healthier than late night scrolling. Ambient noise suits a variety of purposes . Some people use it to study, to help create a space where you can channel your thoughts. Some use ambient noise to create a rhythm that is conducive to sleepiness and drowsiness. 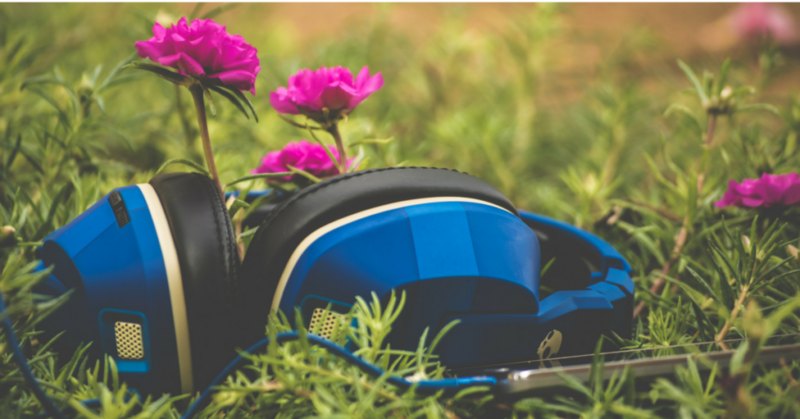 Some use ambient noise also used to create a powerful sense of memory and wonder. The sound taking the listener back to a camping trip as a young child, or a memorable storm. The ambient sound evoking a sense of wonder of a camping trip or an adventure. These three purposes are why ambient noises helps beat depression. Depression often interrupts sleep, causing over or under sleep and excessive tiredness. Depression undermines concentration. with a painful inability to finish or enjoy things and stuck in a dreadful survival mode. Depression skews memory and perception. When depressed memory is often hinged to previous feelings of sadness, loss and grief. Wonder, joy and exploration is often forgotten. Mindfulness is heightening your perception of the present moment. Being mindful and present allows those thoughts and feelings to wash away and resist our own internal noise. Ambient noise helps the listener connect to the pleasure of surround sound. It’s a blanketing experience that helps you connect and experience your surroundings, in a way that naturally facilitates mindfulness. At this point Ambio is not available on the Apple Store. A similar app I found was Naturespace.